Windows To Go is a new feature on Windows 8. It enables users to boot Windows from an external USB hard disk or flash drive. Windows To Go support USB 2.0 and 3.0 storage device and require minimum 16GB size (Recommended 32 GB). Internal disks are offline. To ensure data isn't accidentally disclosed, internal hard disks on the host computer are offline by default when booted into a Windows To Go. Similarly if a Windows To Go drive is inserted into a running system the Windows To Go drive will not be listed in Windows Explorer. Trusted Platform Module (TPM) isn't used. When using BitLocker Drive Encryption a pre-operating system boot password will be used for security rather than the TPM since the TPM is tied to a specific computer and Windows To Go drives will move between computers. Windows Recovery Environment isn't available. In the rare case that you need to recover your Windows To Go drive, you should re-image it with a fresh image of Windows. Push Button Reset isn't available. Resetting to the manufacturer's standard for the computer doesn't really apply when running Windows To Go, so the feature was disabled. Remark: On Windows 8 beta or Windows Server 8 beta, "Internal disk are offline" doesn't work on SATA hard disks. I will use Windows Server 8 to create a Windows To Go USB drive. 1. On the Windows, log in as Administrator. 2. Mount the "Windows 8 beta" ISO file. 3. Insert the USB drive. 4. 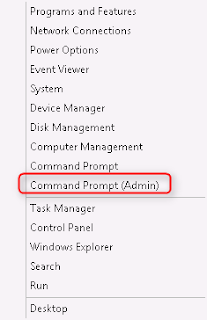 Press "Windows Key + X", select "Command Prompt (Admin)". 5. 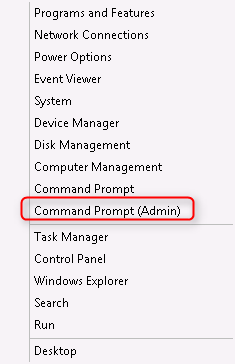 On "Command Prompt", preform "diskpart". 6. Preform "list disk" to list all disk on your system. 7. Perform "select disk #" to select a disk which you want to create Windows To Go. Remark: # is a number of your disk. 8. Perform "clean" clean the partition. 9. Perform "create partition primary" to create a new partition. 10. Perform "format fs=ntfs quick" to format the partition as NTFS format. 11. For an USB hard disk, you may need to perform "assign letter=w". 12. Perform "active" to make it bootable. 13. Perform "exit" to quit diskpart. 14. Perform "dism /get-wiminfo /wimfile:<DVD-ROM>\sources\install.wim" to get the index of the "install.wim" file. Remark: The "install.wim" may more than 1 image so I performed the above command to make sure which image I should apply. 15. Perform "dism /apply-image /imagefile:<DVD-ROM\sources\install.wim /index:<index number> /applydir:<USB drive>". 16. Perform "bcdboot.exe <USB drive>\Windows /s <USB drive> /f All" to create boot record for the USB drive. example: "bcdboot.exe w:\Windows /s w: /f All". The Windows To Go USB drive was created. In my test environment, I use Windows To Go USB drive to boot up on 1 PC successfully. However, I cannot use the same Windows To Go USB drive to boot up on the other PC. I try to use an USB hard disk. It can boot up on the other PC. Windows To Go will freeze the OS instance for 60 seconds if the pen drive is removed. Plugging it back within 60 seconds, Windows will resume where it was, if not inserted within 60 seconds, Windows will shut down. I read your article. You shared great info about create windows to go usb drive for window 8. You have done great work. Window is upcoming operating systems. Its very useful information about creating a windows to usb drive for window 8. Its too good.